INDIA: Next time you’re at the Taj Mahal, find yourself standing on a precarious cliff or see an approaching train, maybe just enjoy the moment rather than trying to capture the perfect selfie. 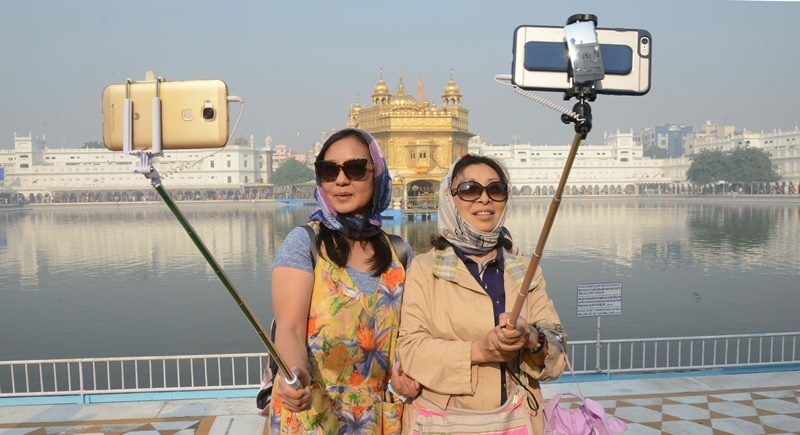 In the quest for the coolest selfie, more people have died in India in the past two years than the total number of selfie-related deaths in the rest of the world, according to the study titled “Me, Myself and My Killfie: Characterising and Preventing Selfie Deaths”. Three students in northern India died trying to take a daring selfie in front of an oncoming train, according to the study published recently. Another student lost his life when the cliff he was standing on for a photo cracked, sending him plunging 18 metres into a ravine. According to the study, China with its population of 1.37bn only had four selfie-related deaths. The group behind the study hopes their work will raise awareness of the killer trend – and maybe encourage people to just appreciate the view.